Super friendly competent staff. Their advices were fantastic (buses and train, timetablessible combinations, best places to visit). Extra clean, they were continuously cleaning. Excellent location!!!! I only stayed one night so I haven’t got much to go off but the staff were really good and the location is spot on. Probably the cleanest hostel I have ever stayed in. Staff was very helpful in getting me from Bitola to Florina, Greece. 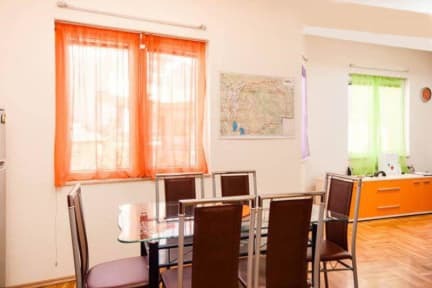 The staff is very helpful and let's you know about everything you can do in Bitola and Pelister national park. You can use Bitola(and hostel) as base for hiking in the national park. Really enjoyed my stay! Staff are easy going and very helpful. Needed help with luggage storage (the night before my stay) and it was not a problem. 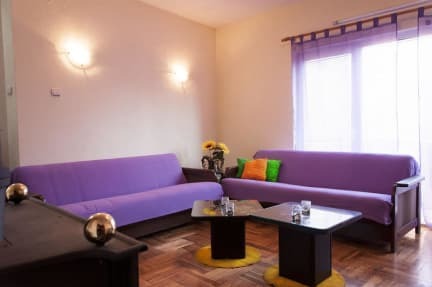 Hostel is clean and comfortable, in a great location, no complaints. Would 10/10 recommend. Thank you Goldy! The cleanest hostel I've stayed at, with great kitchen facilities. The staff were very informative & helped with all questions. Great location. If you come from Florina contact Zlatko for a cheap taxi before. It will save you some money (25€ instead of 40€).